It’s isn’t Janet Jackson in a full length mink coat, of that I’m sure. I think the tag line is terrific – just misplaced. We can all think of legendary people and moments for which books are written, songs are penned, clichés are born. And then there are the everyday legends who may have no famous (or infamous) public persona, but impact our days, change our thinking, inform our choices and enrich our hearts. I began training with Chris a little over a year ago. Given some of my physical limitations, I had major trepidation about going to the gym. Chronic pain is well, a pain – long scars that extend from the neck down to places that haven’t seen the light of day in years, makes ‘flexibility’ a dirty word. Tendons, fascia, ligaments that are just generally ornery – and that’s on a good day. My body and soul are truly yin and yang. I was afraid that at the least, I wouldn’t accomplish anything, and at worst I would end up doing some further damage to myself, because at core I am still competitive and will ‘play hurt’. Chris lost his leg a couple of years ago. He was riding his motorcycle and was struck by a drunk driver. I’m not going into the specifics of his accident – it was gory and awful and with or without hindsight, life-altering. Chris was a trainer before the accident; he’s a trainer now. 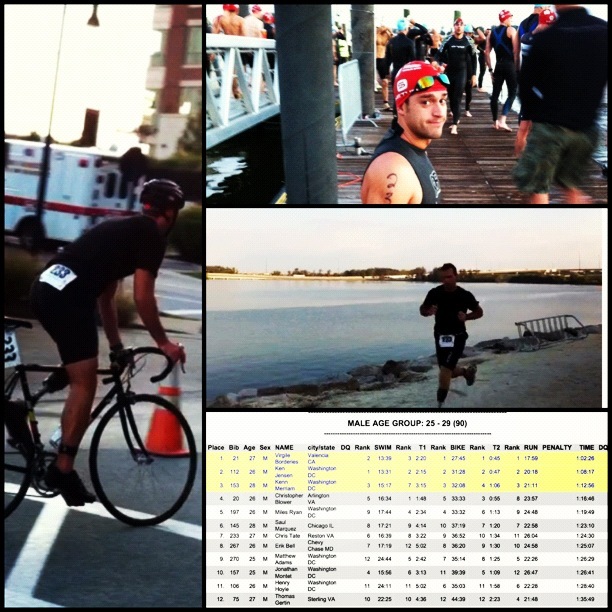 He is an avid competitor – it seems that he’s in a marathon or triathlon every other week. He hears a lot of praise when he’s pushing the envelope, and deserves all of it. But to me, he deserves it because he held on to his heart throughout this ordeal, he didn’t compromise on his life and he didn’t lose the ability to laugh. He adores his wife, relishes his friendships and family and knows how to have a good time. He still has to deal with the frustration that comes with parts that fail, waiting for insurance companies to do what they’re supposed to do, having to consider what most of us don’t even think about at all. He still has to deal with the ghosts that dance in his head (even though he doesn’t think anyone knows about them) and get up every morning and dare the dawn to get in his way. And let me tell you, the morning steps aside. As it should. Chris’ will, his expectations of himself, his laugh…it’s the stuff of good character. The way his eyes betray him when he thinks someone is in pain, his sense of commitment, his frustrations…it’s the stuff that makes him human. The combination of heart and head, determination and focus, reality and hope…that’s the stuff of everyday legends. Posted on October 15, 2012 by mimijk •	This entry was posted in discretion, friendship, inspiration, life lessons, mindfulness, motivation and tagged health, working out. Bookmark the permalink. What a wonderful person. You are very lucky to have him in your life. Yes I am very lucky – he’s a terrific young man..like a fourth son practically!! The best of the human spirit certainly shines through this young man. Keeping the love, laughter, compassion in his heart is the true testament to the mettle this guy is made of. A wonderful post Mimi and I am glad he’s part of your journey…for both of you. You forgot to mention Chris is adorable! How lucky for you to have him in your life and how lucky for us that you shared him with all of us. You are lucky to have met him… and he’s lucky to have found you too! Well I certainly am lucky to have met him – though I’m not sure he gets nearly as much out of the dynamic (though I appreciate you thinking so!).. What a remarkable man you have to motivate, inspire and support you!! How awesome for you to have such a great person and athlete to train you. He inspires me!! I’m very lucky to have met him. He’s really a terrific soul.. It really describes him well – thanks Laurie! Ok, my dear, if you expect me to be surprised that *you* have been matched up with this clearly incredible young man as your trainer, you’re gonna be sorely disappointed. 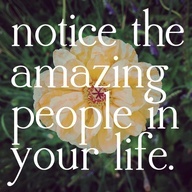 Can you say ‘Law of Attraction,’ good things come to good people, ya get back what you put out? Chris is obviously a remarkable man and an indomitable spirit, and I daresay *just* the right match for Ms. Mimi, she of the “ever-ready encouraging remark, pat on the back, ‘atta boy’, you can do it, I’ve got a hug heading your way” spirit. Girl, I am quite certain you bring *just* as much to his life as he does to yours, and isn’t that a beautiful thing?! You and Chris are a perfect match; he has the physical and emotional capacity to understand pain and that’s why he has been so beneficial to your physical strength and well being. Karma at its best! What a blessing to hold onto. He has certainly been a gift to me! Definitely Fran, definitely a blessing. What a fantastic tribute 🙂 He sounds like an amazing person! I forwarded it to him..I hope he comes back to see all these wonderful comments. Awesome story Mimi, thanks for sharing and way to go Chris you are a human hero that we love to hear about! Thanks Tina – it was a delight to write about him! Thank you again for doing so, I love to hear the true life hero stories, they make the hair on my arms stand up! 🙂 Anyone who gets out the door and to the gym is an inspiration to me…My bed is just so much more alluring than my gym! Inspiring. You. Chris. Full stop. Chris? Definitely. Me? Not in the same league. Another full stop. Oh God. Here we go again. Why oh why do you think that I would have any less of a neurotic response than you would, friend o’ mine? Laughing. Actually I kind of look forward to it. There is comfort in consistency. And you so offer this up in so many ways. Full stop. Inspirational (Your writing and Chris). I can’t think of many things that are more important to put in writing than to share the story of someone who is a personal inspiration. Thanks for sharing this with all of us. Thank you Frank – I too think it’s important to recognize those people in our daily lives who impact us in such positive ways.. Thank you for introducing Chris to us and honoring him in this way. May the legend live on and on. I’m with you Russ! Long may he live and thrive! !